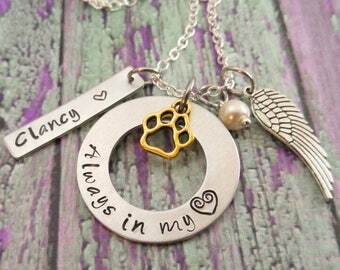 This Dog memorial helps the recipient cope with a dog loss. 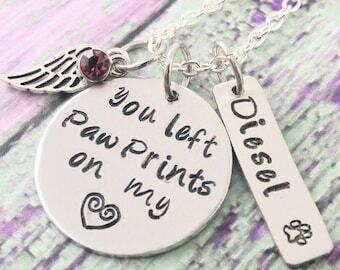 Gift your loved one or yourself with this lovely personalized dog remembrance tag. 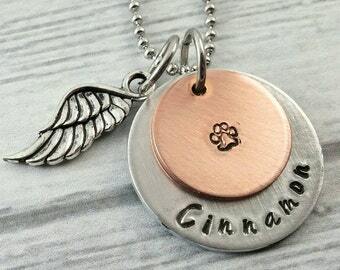 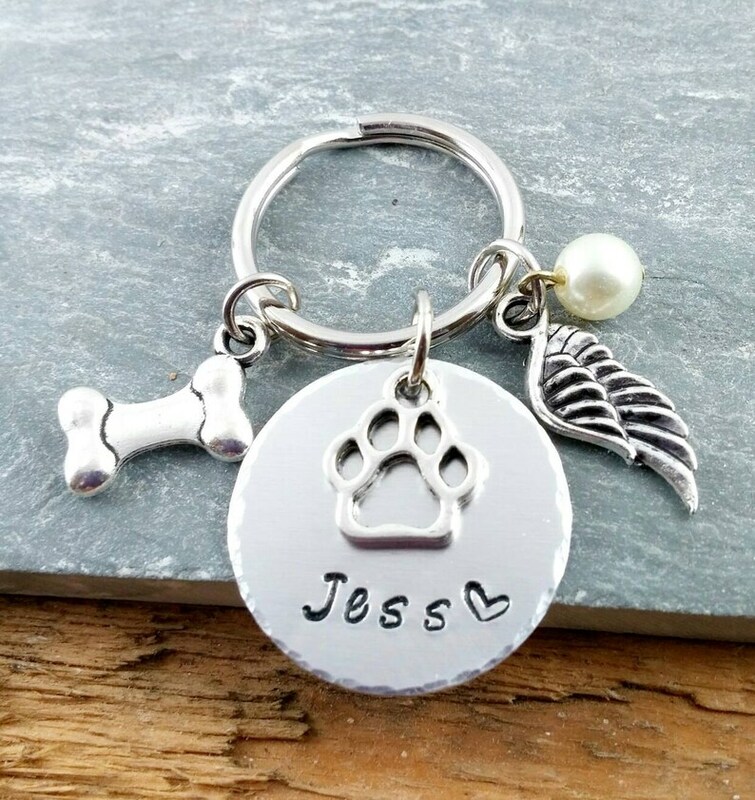 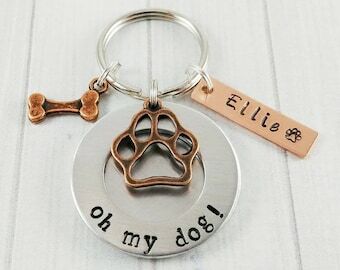 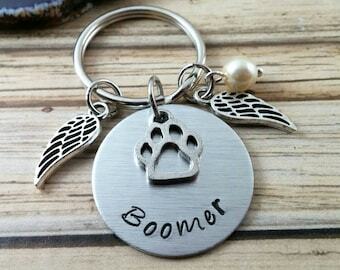 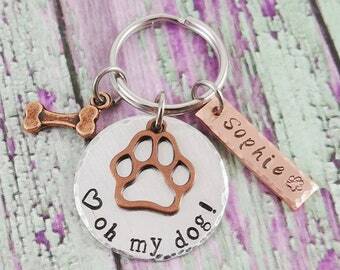 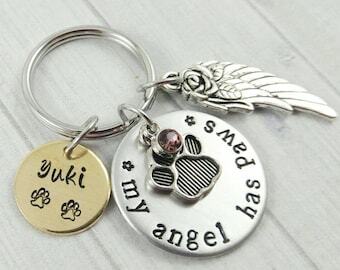 I hand stamped a 1" soft brushed aluminum disc with the dog's name and added a lovely dog paw, an antique silver tone angel wing charm, a glass pearl and a dog bone charm to a key ring. 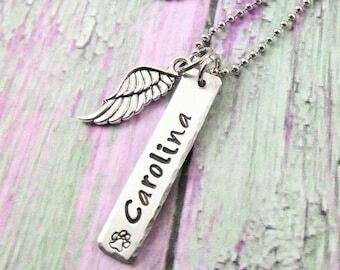 I purchased this for a friend and she loved it! 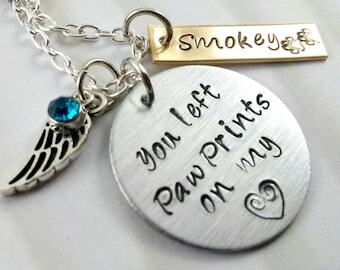 I love that there was a personal note from PoliteTwistedJewel in the package. 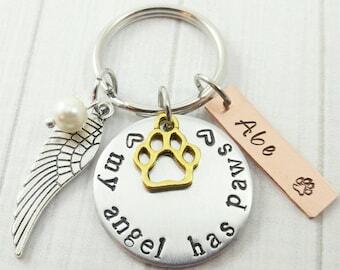 It was delivered promptly and looked amazing. 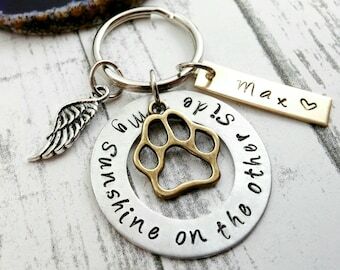 Would definitely order it again, thank you so much!